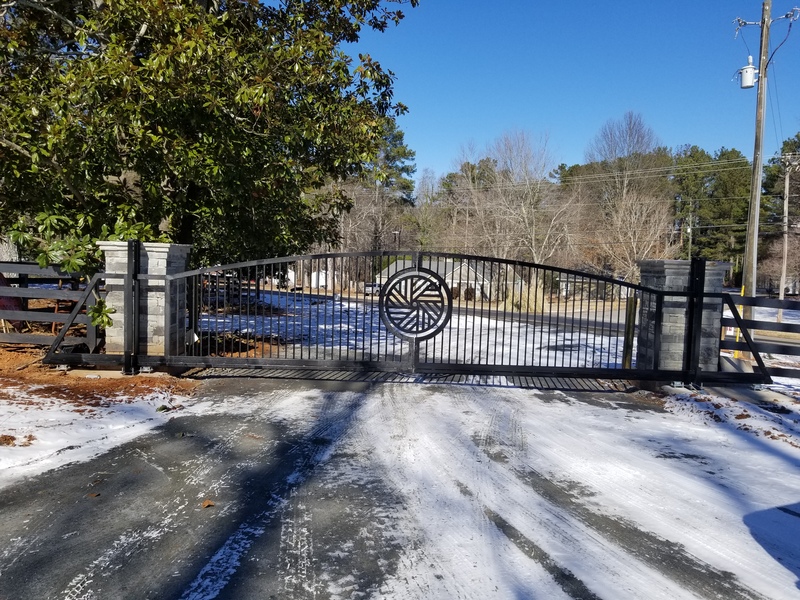 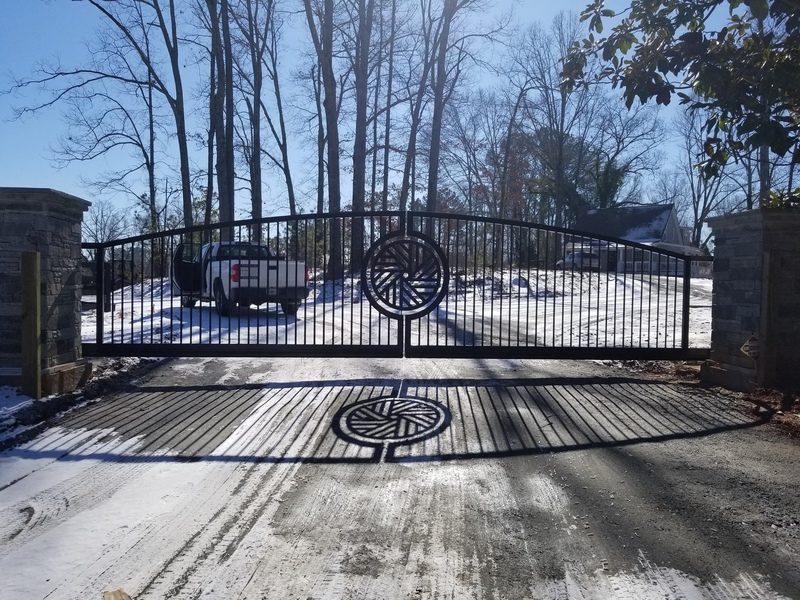 This beautiful double sliding gate comes together perfectly in the center of the driveway creating a seamless look at this residence in Georgia. 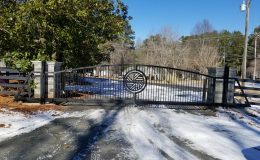 Iron Fence fabricated and installed this gate using our galvanized steel model CGS-250.8M. 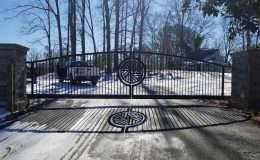 In order to accommodate the arched gate top, large nylon rollers, item 253, were installed on two metal posts on either side of the gate to keep the top steady when fully open and closed.